This time of year is full of festive spirit. Around campus there is a buzz about students getting ready to have a break from studies and enjoy some down time. The University helps us get into the festive mood with Chanukah candle lighting, carolling, a massive Christmas tree in the forum, and Christmas decorations galore! Most students go home for some much-needed washing loads, food parcels, and time with old school friends. It’s definitely a good reboot after a busy semester. Make sure you keep in contact with your university friends over the break. There is nothing worse than meeting new friends and making memories with existing friends, then having a period where you don’t talk to or even see each other. Try and meet up with your friends if you can, if you all live too far away from each other, socialise in the group chat and call each other as often as you can. Both UH and SU twitter accounts will be active over the Christmas break and will both be providing you with fun and helpful information. Keep up with what everyone is doing over the holidays and check out any information about semester B which can be useful for you. With loads of new events, societies and other fun bits coming in semester B, make sure you know what things you’re going to - obviously whilst keeping to your revision schedules. Make sure to keep track of what’s happening on campus, all the different events, lectures or any changes, before you return for semester B. This especially applies to the students who are living on campus this year. Make sure you use the LRCs when open during the Christmas period, get some valuable revision in and work on your assignments with little distractions. Or if you’re struggling to concentrate on working over the Christmas period from home, make your way down to campus and get working there. Remember, Herts is a massive family and in the Life and Medical Sciences school we look forward to the welcome back in January at the LMS Refresher. It’s a great event that brings everyone back together. 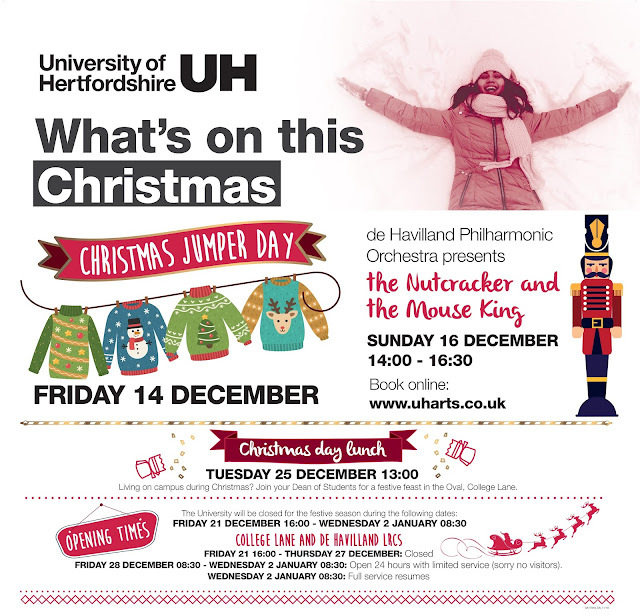 There will also be tonnes of other activities and Refresher events happening across the University when you return. From tea parties and the SU’s Refresher Fair, to skilling up opportunities with the LRC and Careers, there will be something for everyone! We look forward to seeing you in the new year and we wish you a warm and happy holiday! Chloe Greenberg is student, the School Community Organiser, and President of the Society of Psychology & Sport Sciences, at the University of Hertfordshire. This Christmas break is an important one, you need to make sure you’re prepared for exams and completed all coursework thrown at you. But it is also important to stay sociable, spend quality time with friends and family and of course have a great Christmas! I’ve got some of tips that helped me prepare for my exams during Christmas whilst also having time for family and friends. We’re all guilty of doing this, I’ve done it on many occasions. This Christmas break get started as soon as possible. If you have work that needs to be done, don’t leave it, get on with it. Revising and being prepared for exams really helps you to achieve successful marks, meaning starting revision early and ensuring that you know your stuff gives you the best chance. 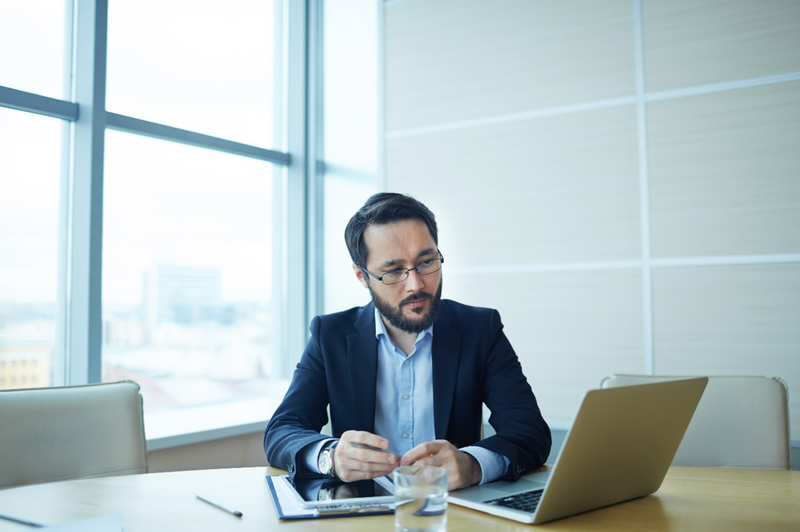 Ensuring that your assignments are done to the best of your ability is equally important. Writing assignments to the best of your ability involves spending time on it. This means starting your assignments early and not leaving them to the last minute. The main point of this is, the more you get done early, the less you must do later. Don’t make your work sloppy and rushed or not know anything when sitting in that exam hall, get started early, know your stuff and make your work look professional and effective. One helpful thing you can do is to create a plan for the Christmas holiday, just like a normal revision plan. If you think revision schedules are helpful, this will certainly be helpful to you. Try and stick to your plan as much as possible to ensure effective work, but if you fall behind, you can always try and catch up one day. I did this in my last Christmas break - I started the holidays off just doing a couple of hours a day to help get me into the swing of it. Over the weeks, I kept adding more and more hours onto the days, this really helped me get into working hard every day. Obviously with this plan, I left time to be sociable with my friends and family. This was the most useful thing I did for myself, it really helped me to be prepared for my exams and get my assignments done effectively. I gave myself enough time to reread my assignments to ensure they were the best I could make them and gave me enough time to learn as much as I could for my exams. I cannot recommend this enough. Christmas day is a day you should not be working, it should be a day of joy, happiness, opening presents, playing games with family or friends and, of course, tucking into your Christmas dinner. Make sure that you do a sufficient amount of work before Christmas day to make sure you’re not thinking about doing work whilst opening presents. If you’ve created yourself a plan, make sure you leave Christmas day blank. If you’ve been doing a solid amount of work early, you could even give yourself Christmas eve, Christmas day and New years eve off too, but definitely don’t do anything on Christmas. Sometimes it’s hard to recreate that sense of magic which used to come, without fail, every year from 1 December. Expecting untouched snow and cosy winter nights spent with friends, yet being landed with dismal rain and fighting with your flatmates over a spot on the sofa every time you have an evening in together. Perhaps Christmas is beginning to lack that inherent, dreamlike charm that arrived so effortlessly when you were seven. The Christmas Nativity back in school was one of either two things. It was something you fully embraced, dressed to the nines in gold tinsel, ready to deliver your one line as Angel No.3 and beam directly down the lens of your mum’s camcorder as you did so. Or, in the more likely case, standing back stage, quivering in your dad’s old dressing gown, a tea-towel strapped down to your head as the teacher tells you off for losing your shepherd’s staff five minutes before showtime. 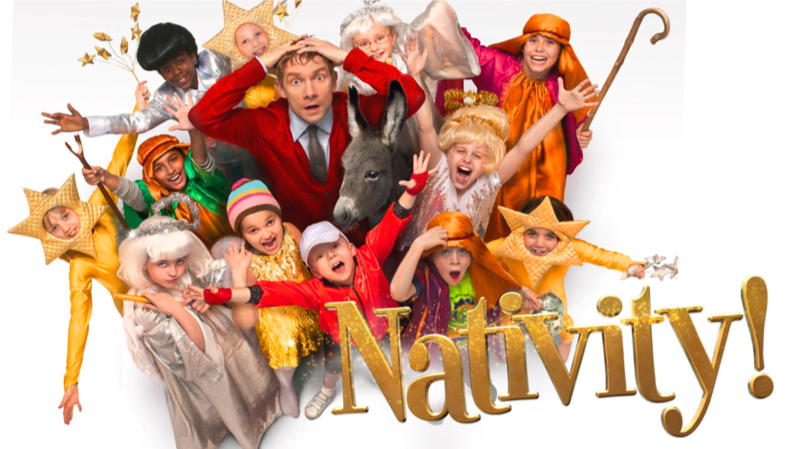 Whoever you were, Nativity perfectly captures the all-too dramatic rise and the fall of primary students as they try their best to make it all the way to Hollywood. Two separate women desperate to escape their everyday lives end up finding everything they’ve been looking for when they swap houses over the Christmas holidays. Ranging from the glamour of LA to a quaint, traditional English village, The Holiday shows how two people from completely different worlds can help solve one another’s problems. 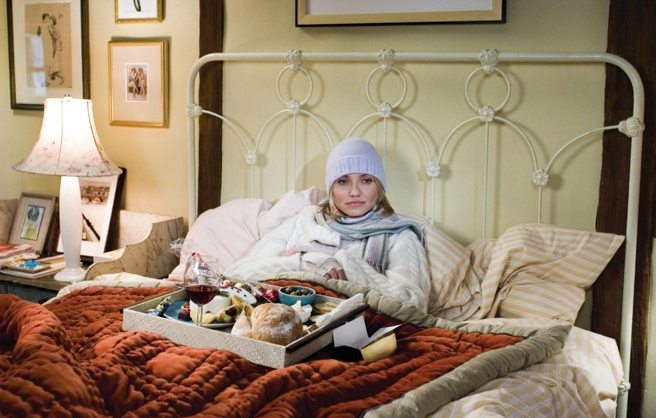 Led by Cameron Diaz and Kate Winslet, this is the perfect night-in Christmas film. Goes best with a bottle of wine and a box of Lindor's. 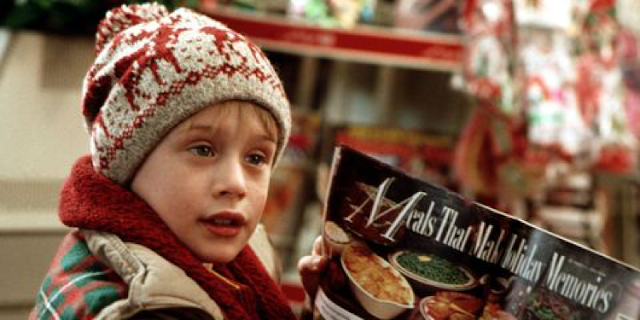 What begins as every child’s dream; having the run of the house with absolutely no parents around to tell you otherwise, turns into a nightmare for young Macaulay Culkin. The villains which used to terrify you when you were younger are now laughable, and you realise how much of a pain in the – ahem - kids can be, despite having previously been jealous of Kevin’s independence. Even so, Home Alone will have you looking forward to Christmas, even if yours doesn’t involve elaborate booby traps and the relentless threat of dopey burglars. Probably your mum’s favourite when you were growing up, Love, Actually is an all-time classic. The perfect mix of heart-warming and heart-wrenching, Love, Actually explores not only the highs of this time of year, but the lows, too. 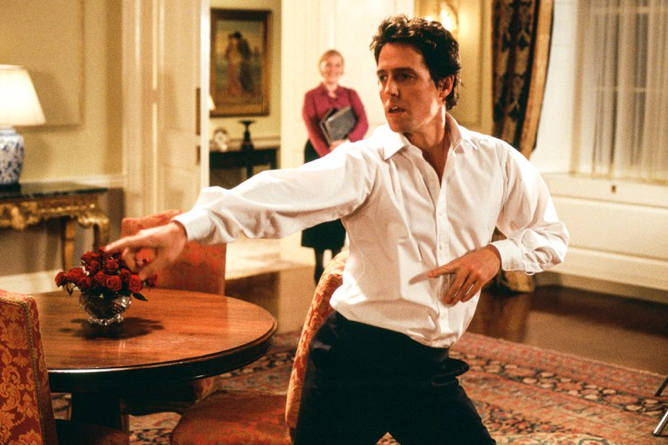 The string of connecting storylines brings us iconic characters, from Bill Knightley’s eccentric musician, to Hugh Grant’s inspiring Prime Minister (who also happens to hold the best solo dance parties in all of London). 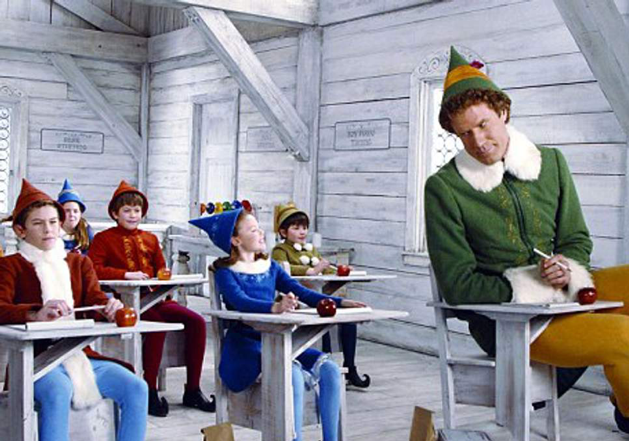 This Christmas film is a British classic with an all-star cast, which just cannot be missed.